Longmont Colorado sits between the northwest side of Denver and the Rocky Mountains. Once the home of Arapahoe and Ute indians, settlement begain in the late 1850's. Originally called Old Burlington, it attracted a group of Chicagoans in 1870. These midwesterners were known as the "Chicago-Colorado colony" who purchased land in the area and developed a planned community. Longmont grew as a sleepy agricultural town until it was overtaken by technology. With development of an air traffic control center in town, along with companies like IBM, Seagate, Amgen and Crocs moving into the area, Longmont Colorado became the thirteenth largest town in Colorado. A declining Main Street in the 1960's has been revived in the last few years. Today it is a vibrant town nestled against the Rocky Mountains. Residents enjoy an active outdoor life, aided by an average of 300 days of sunshine per year. 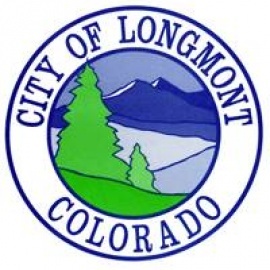 Longmont contains 1500 acres devoted to open space and parks, and has easy access to the University of Colorado, downtown Denver and over two dozen ski areas. It cherishes its agricultural and historic roots while still maintaining its quiet and residential feel. Longmont Colorado was named to Money Magazine's 2008 list of the best 100 places to live in the United States. Drinking from handmade ceramic works by local artists including Alex Zablocki and Kecia Benvenuto, we'll taste teas and eat sweets. Fare generously provided by La Momo Maes bakery, proceeds to benefit the exhibitions program at Firehouse Art Center. VIP Package: Bluebird Music Festival Includes: This ticket to the Kickoff Concert at The Firehouse Art Center in Longmont on May 23rd featuring Langhorne Slim and Sun Jr. (Acoustic). The Kickoff Concert will take place from 7:00-10:30. Science * Technology * Entrepreneurship * Arts * Making You'll experience all the fun that you can possibly imagine under one roof at Rocky Mountain STEAM Fest 2020 (Seventh Annual).